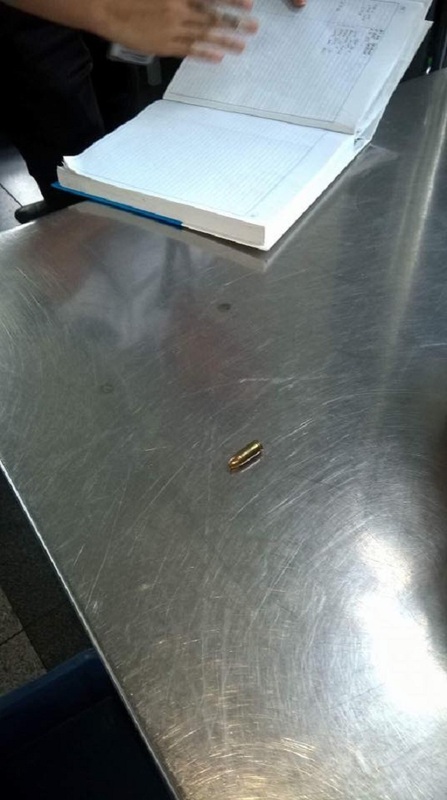 MANILA, Philippines – Some years ago, before President Rodrigo Duterte began his term, the ‘tanim bala’ modus operandi was rampant at the Ninoy Aquino International Airport (NAIA) in Pasay City, Metro Manila. Everyone thought this has already been solved but it seems that the problem is back again! 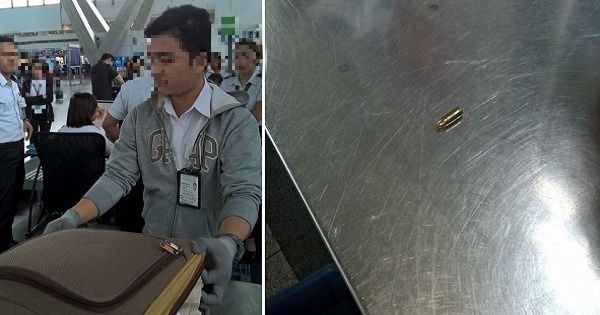 In this modus operandi that often targets tourists and foreigners, a bullet (sometimes several bullets) is seen on the x-ray screen, prompting the security officers to check your luggage and remove the bullets. This was supposed to carry a huge fine – and the bag owner is detained at the airport for hours, leading to him/her missing the flight. No one wants to go through all that hassle, of course; thus, many are more than willing to pay a huge amount of money just so they are allowed to go. But there were those who knew they were innocent and didn’t want to pay what the security officers want them to pay; thus, they land in jail and face charges. The modus operandi even led to at least one foreigner detained for months and an old woman getting charged and jailed. When Duterte assumed office, he warned these people at NAIA to stop this modus operandi or else he would make them eat the bullet they ‘planted’ inside these passengers’ luggage! Thus, the practice was cut. There were still a number of random incidents; however, instead of making them pay, the security officers only let these ‘perpetrators’ (more like victims!) sign a logbook and ‘surrender’ the bullet. 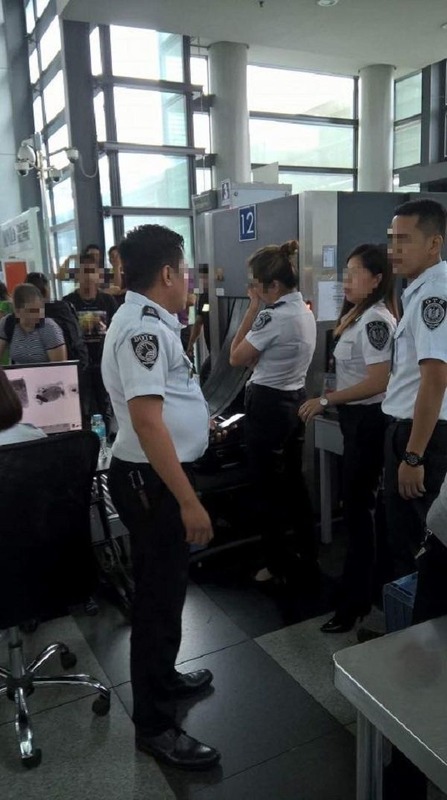 Much recently, however, government employee Kristine Bumanglag-Moran experienced the ‘tanim bala’ modus and this got her so furious that she posted the experience on Facebook. Kristine was traveling from Manila to Zamboanga with her senior citizen mother and daughter who had just gotten out of the hospital. They were all tired and ready to go home when they were stopped at the NAIA terminal 3 gate 2. 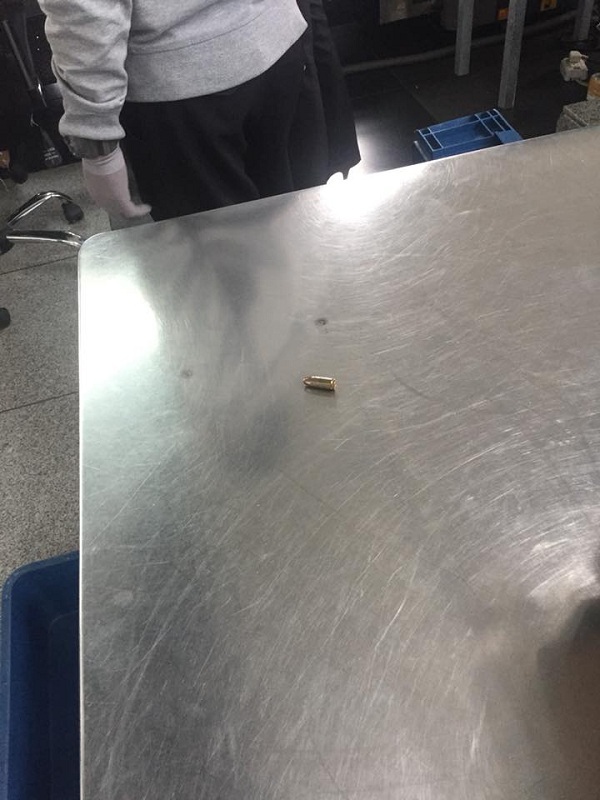 At first, Kristine thought the security officers had found her black box, a device used in physical therapy, but they took out a small bullet from the front pocket of her bag! Angry over the incident because she knew she didn’t put any bullet in her bag, she lashed out at the security officers and told them her daughter had just gotten out of the hospital and that she will not let this incident pass. A senior police officer told her to just show her ID and sign the logbook before letting her go. In her anger, she showed them her mother’s senior citizen ID instead. Kristine warned netizens that ‘tanim bala’ is real!